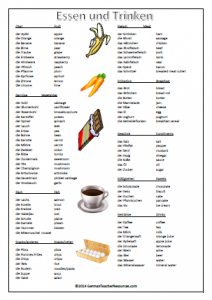 A one-page glossary of common German food and drink items. 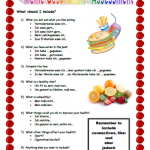 Click on the image below to download the worksheet in PDF format. 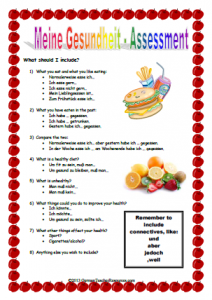 A German worksheet to accompany an assessment/extended piece of writing on the topic of health and healthy eating. 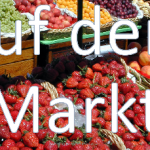 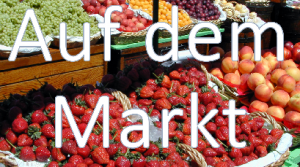 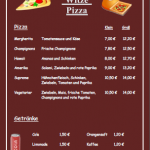 A German food PowerPoint, introducing a selection of food items. 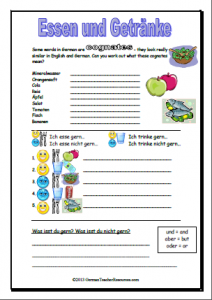 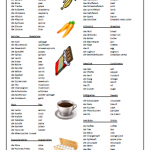 Powerpoint and worksheet on cognates for German food and simple opinions. 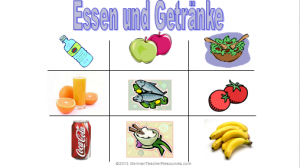 Click on the pictures below to download. 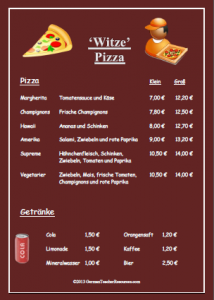 Pizza menu, useful for restaurant role plays.